After Monday’s SCOTUS decision, I did what I usually do when I am enraged and appalled: fumed for a good long while, then got to work. I am an adamant believer in putting one’s money where one’s mouth is; in a world so lured by pocket strings, I feel that a contentious decision about where and how to spend my money is a vote more toothy than one at the ballot box. Here’s the letter I sent to Eden Foods, another company who feels as though they can hack off pieces of a national law at their whim. I encourage you to copy and paste the parts that work for you (what?? 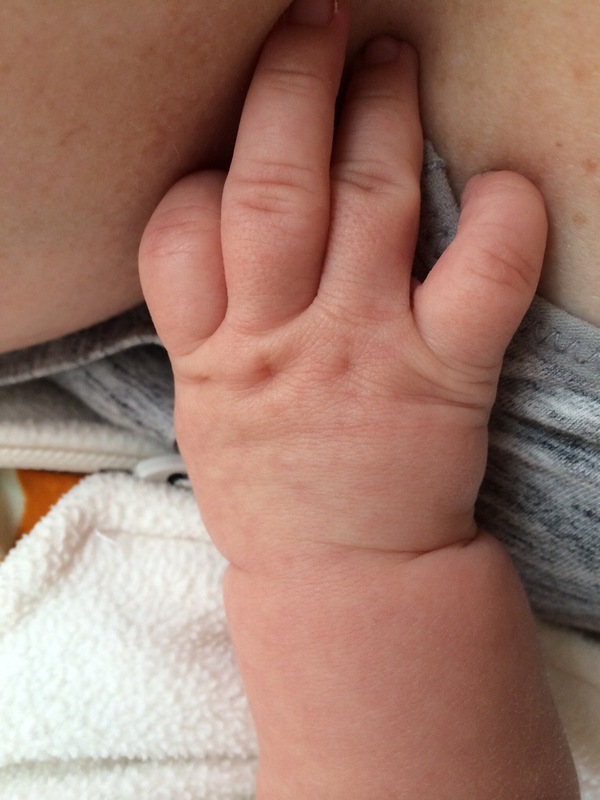 You don’t also have mastitis?!!) and draft your own letter. More importantly, I encourage you to spend your money on products that value a woman’s right to make informed health care decisions. Find a list of “corporations” on the Hobby Lobby train here. I’m at home recovering from mastitis, a women’s reproductive health issue. I’m reading the recent SCOTUS decision on Sebelius vs. Hobby Lobby, exhaling with relief knowing that when Hobby Lobby built a store in my community last Fall, I did not take them up on their 50% coupon and venture inside just to see what they had. No, instead I drove another two miles to Michaels and paid full price for my acrylic paint. I felt great about the extra $4.33 I spent, knowing that it supported a company that supported the integrity, autonomy and right of women. Truth be told, I would have paid an additional $4.33 for that same feeling. Silly me—I teach Biblical allusions to my students, but never put two and two together that Eden foods would be a religious corporation—let alone one who would also choose to meddle in my health care. I have no problem with the former; it’s the latter issue where you and I depart. And therein lies your problem. See, there are middle-class, contentious people like me who have lived off your soba noodles or beans for years, who, like me, will no longer purchase your products because you don’t believe that I am capable or should be in control of managing my own body. That’s a shame, as one of the reasons I buy your products is that they are primarily organic, and I love nothing more than controlling my own body and what goes in it—IUD, organic carbohydrates or otherwise. Because I value my control over yours, and because I control my pocketbook, and therefore, ultimately, your bottom line, I will no longer purchase your products. You value profits as well as control over your employees. The ruling, as articulated by Justice Ginsberg and as extrapolated by any other thinking individual (and clearly part of the plan on the Hobby Lobby coalition) will infiltrate and pervade “corporations”, religious “freedom” and women’s health care. Millions will ultimately be affected by this precedent-setting ruling. Number 2 is of paramount concern to me because as I mentioned, I am currently dealing with a women’s reproductive health issue. It is not far-fetched to think that under this ruling, some “corporation” will conclude that my infected breast is not their financial health responsibility. In fact, any Christian Scientist “corporation” could now argue that provide to antibiotics hampers their religious beliefs. Thankfully, while you and your corporate cronies control the Supreme Court, I control my paycheck. It is a shame that your company that I have valued for so long has chosen to make strange bedfellows of politics and religion. I grant that your company has likely taken a huge financial hit due to imposed health care mandates. What I do not grant you, however, is your duty to recognize me as an individual agent, one who is free to make informed, religiously abiding—or not—choices about my own body. It saddens me that I have to choose my reproductive rights over your soba noodles, but obviously, the two are mutually exclusive. I will have to find an alternative or do without, as many women must now do with their birth control. It’s unfortunate that you can’t keep your hands in the buckwheat and out of my pants.